The genuine Isabella beaded trim measures approximately 4" from the top of the stitched gimp to the bottom of the longest beaded strand. The stitched gimp is approximately 1" in width and the longest beaded strand is approximately 3 1/2" in length. 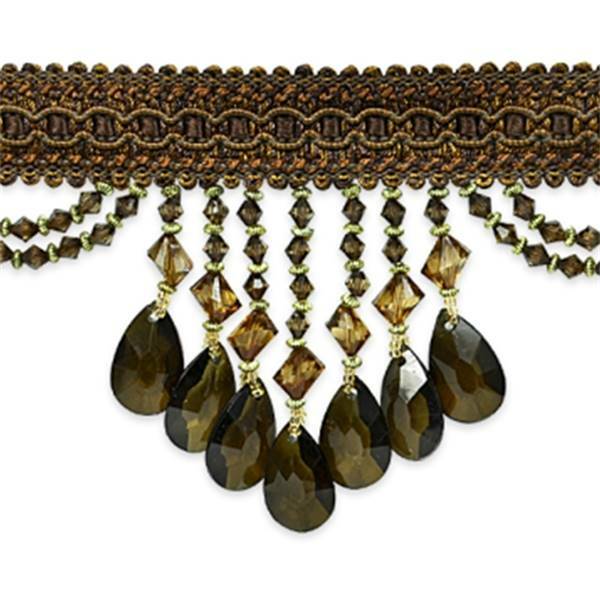 The beaded strands are separated by scalloped beads approximately 2" apart. The genuine Isabella beaded trim embellishes lampshades, curtains and home decor items. This item is available in 17 colors.